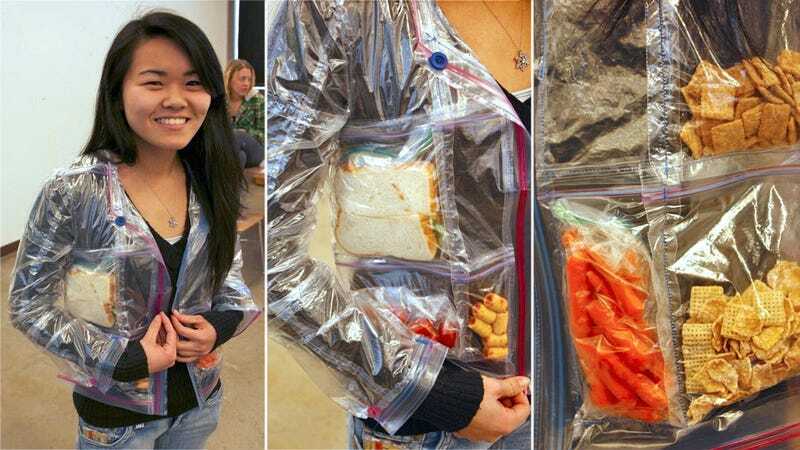 Genius comes in all shapes and sizes, and today it's in the form of a surprisingly stylish jacket made from nothing but resealable Ziploc sandwich bags. It probably doesn't breathe in hot weather, you can't put it in the wash, and you can forget about ironing. But in terms of available pockets, it simply can't be beat.